After a quiet few months, Puppet Rebellion return with a full EP on August 31st, their first physical release with new frontman Oliver Davies. The Life Is In Your Hands EP sees two new songs joining Watch Me Fall and Claim To Fame, which were released digitally back in February. Lead track Life Is In Your Hands is already a live favourite. 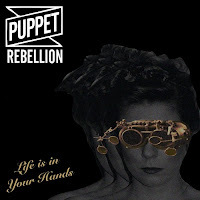 Opening with an almost Balearic guitar sound, a storming rhythm section and dominant vocal, it is as good as anything else in the growing Puppet Rebellion back catalogue. Back in February, we reported that Watch Me Fall picked up where previous EP, No Means Yes, left off. 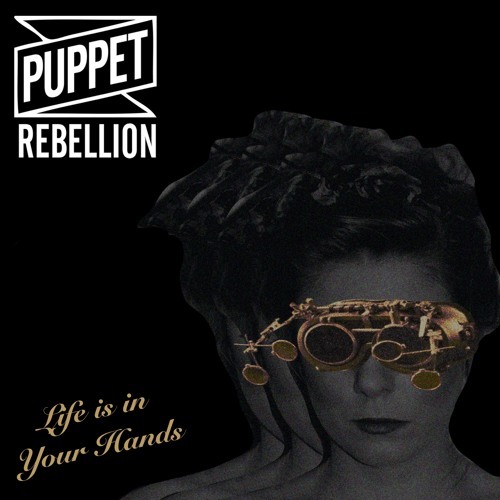 It’s an upbeat, sharp, powerful rocker as we have come to expect from Puppet Rebellion. Claim To Fame was even better with a funky bassline, a driving guitar and a soaring, anthemic vocal from Davies and for me is the standout track from this, the third EP. Test Pilot completes the EP and is reminiscent of long lost Factory legends Stockholm Monsters – high praise indeed. Test Pilot sees Puppet Rebellion at their funkiest, yet there is still a harder edge to their sound. Like the very best of bands, they can’t be neatly pigeonholed and this EP should see their reputation continue to grow. Producer Gavin Monaghan who has worked with Robert Plant and The Twang amongst others has beautifully captured the energy and drive which is so evident in their live shows on this EP and we look forward to hearing more from them at the launch gig at Gullivers in Manchester on August 29th. In addition to the Manchester show, there will be other dates to coincide with the release including Ramsbottom Festival on September 20th and London's Birthdays on the 26th.